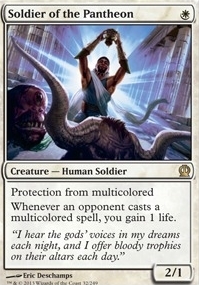 Soldier of the Pantheon ($0.15) Price History from major stores - Theros - MTGPrice.com Values for Ebay, Amazon and hobby stores! 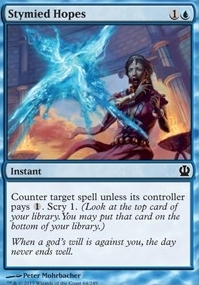 Card Text: Protection from multicolored Whenever an opponent casts a multicolored spell, you gain 1 life. 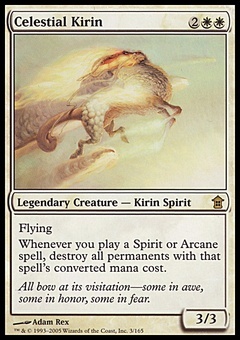 Flavor Text: "I hear the gods' voices in my dreams each night, and I offer bloody trophies on their altars each day."